Rentec Direct Reviews Recently Reviewed! Comments: Overall, this is a really great program. Cost is low, customer service is responsive, and there are a lot of capabilities. So far, it seems they continue to add new features and improve, which is a great sign for future growth. I would definitely recommend them, and I'm happy so far. Pros: Easy to set up and pretty easy to use. Most likely, the confusion sometimes has more to do with my accounting abilities than the software itself. Customer service is very quick to respond, which is great, although not the friendliest. They seem to work to continue improving, which is important. They recently added a co-renter option for portal access, which is fantastic, and I'm so happy they added that. We have only had the service a month or two, but so far, we are pleased. Cons: Like I said, customer service is responsive and quick, but not the friendliest, but they get the job done & that's most important. I feel like there are some functionalities that I feel would be pretty standard, yet Rentec doesn't have the feature. For instance, you have to do a work around for multiple property owners, but it doesn't really help much. Reporting functionality is lacking. There are a good bit of reports, but some that should be standard are not available. I also do not like the way ACH is reported, because you have to do a little digging to find out if payments went through or just trust it's working. However, technology, as we know, does not always work properly, and I hate to just leave it to chance. Although, this is probably more of an issue with Forte, who processes the payments, than Rentec. However, Rentec did partner with this company, so it's basically lumped in together. Thank you, Mallory - excellent feedback. And we're grateful you're still a Rentec client! Due to your and other client feedback, we're excited to say we've just improved how ACH funding is reflected daily in your bank account. This change should make it much easier to know exactly which transactions process. With processing reports, and automated ACH fail notifications, you shouldn't have to leave anything to chance. And please know we'll continue to work hard to refine & enhance your tools. Comments: I would recommend this to anyone with less than 100 properties. Pros: We used this product for a few years when our property management company was just starting to grow. It was great in the beginning because it got everything out of excel and quick books and onto a property-oriented platform. The reports were excellent. The program was extremely user-friendly. Cons: We ended up changing to another program when we grew out of Rentec Direct. The program only allowed you to deposit ACH payments into one account and that was an issue for us. I love their customer support! Pros: The software is easy to learn for both me and my assistant. We were able to get up and running using the software in days, and that included bringing in all our data. The staff at Rentec was also tremendously helpful in getting it all imported. Cons: The video training material is a bit dated, but still useful. Overall: I've been a client of Rentec for almost 4 years and what stands out about them to me is their extremely helpful customer support. Special kudos to both Kathryn and Kevin who have helped me accomplish everything I need using their software. Whether I call or email, it seems like I get answers right away. Aside from the software being super easy to learn, I've really enjoyed all the features they've added over the years. It seems like every time I login there's something being improved. Recommendations to other buyers: They have a free trial so you can check it out without any commitment or cost. One unique thing about Rentec is they have support staff with property management backgrounds, so I'd say give them a call and ask them some questions. You will end up being impressed. Comments: I was on RentPost previously. From that experience, I learned the hard way that while a website may make boasts of great software, if there is no Customer Support or strong Development group behind it, the user experience can be time-consuming and difficult. Converting to Rentec Direct allowed me to free up a lot of time that I formerly spent trying to fix issues caused by the software. I am so pleased with the quality of Rentec's Customer Support and Development teams. Pros: 1. Customer Support is excellent. There is great help on the Chat window and when that isn't available, phone support is great. 2. Easy to use. Once I got familiar with the system, it became a slam-dunk to manage monthly rent collection and on-time lease renewals. Training was great so I got up to speed quickly. 3. Tenants like it. Ease of use applies to tenants also. Rent reminders and late notices are clear and tenants have no problem working with the system. Rentec takes that burden off my desk. And tenants love the ACH and credit card options. 4. Software works as advertised. The Development team has built a solid product. Cons: It would be nice to have a reporting tool that allowed me to create my own reports. Owner reporting is not very elegant as it is today. Comments: If it wasn't so much work and if payments from tenants processed quicker, I would switch back. I preferred the ease and simplicity of Rentec over AppFolio which I am using now. We appreciate you singing our praises, Michelle, and letting us know what was important to you. Back in 2017, we increased transaction processing speeds, rolled out mobile apps and a whole host of other slick features. We're always working to on new ways to to help our clients be more efficient. Wishing you great success! Comments: I mentioned a few specific items on my "wish list" and customer service was able to explain options to accomplish them on the first call. That saves a lot of frustration and wasted customization time. Small and limited staff companies will love the financial and management integration that saves time and money. Pros: I had a list of items applicable to my specific circumstances, of course. I used this to compare software, so that I knew these would be accommodated, then on to the functionality. Like many of us, I didn't want a difficult system for my clerical help. At the same time, the integrated accounting and background/credit checks were good matches for our needs and money-saving, to boot. Cons: The setup for properties and their perimeters takes some time, but all systems require it. The first, general setup did give us an opportunity to look at our policies and procedures overall, which is important to do, especially when switching to a new system. Great program! Needs some work but all in all a great program! Comments: Some of the things that need work are: Docusign - it needs to be where we can assign signature fields for the tenant so they know where to sign. Reconciling - It needs to be a little less confusing when reconciling the ACH transactions. it would also be better if you could sort out the transactions by check number/ACH or by date. Scrolling - when you go into a tenants account to make changes the page scrolls back to the top when you come out. It needs to stay where you went into the tenants account so that if you are making multiple changes in an account you dont have to search for it again when you make the first change. Owner disbursements - It would be great if the program would automatically send an email to the owners when an owner disbursement is made. Pros: It makes life a lot easier in the rental managing world. This program helps keep up with tenant payments and owner disbursements. Hi Tracey, We appreciate your kind comments about the software and wanted to respond to a couple of the challenges you mentioned. With our Docusign integration you are able to add signature fields for tenants from the drop-down fields list in the upper right when editing a form, it is part of the core functionality. A good solution for the scrolling issue you mention is to use the date range selector in the upper-left of the ledger. Your date range will be saved between page views so you will return to exactly where you left off. For owner disbursements, an auto email is a great idea and we'll definitely add it to our feature recommendations list. Again, thank you for the feedback. We will have one of our client success reps reach out in the next couple hours to help with any of these items. Blows our old platform away ! Comments: Overall positive, still needs a little tweaking. Pros: Built in marketing tools (website). Right-priced screening tools. Accounting features. We appreciate your praise & feedback, Eric! And, good news! You can track those capital expenses for a property if you wish. It's as simple as adding the property, creating any special expense categories and posting those expenses. 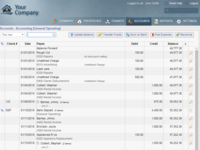 You'll be able to drill into one or more of these categories in your financial reports. Rentec Direct is very user friendly and support is always available and excellent! Comments: I would have and HAVE recommended RenTec Direct to other Property Management Companies. Pros: RenTec Direct Software is extremely user-friendly and so easy to use. I am not very computer literate and I was able to teach myself the program. When I have a problem or question or something out of the ordinary comes up I just call support team and is there so helpful, friendly and personable. That definitely helps when your stressed and need help with your software! Cons: There are a few things that I would change regarding some of the reports, however, they have been adding and changing things daily so I do not really have many cons. Comments: We have been using Rentec for over 5 years. We have over 600 units on Rentec, both multifamily and retail. We started out as a small company and now have about 30 employees. I was a huge, avid fan of this software when we were smaller, but the lack of controls as we have grown larger now outweigh the positives. There is a very limited amount of control for user access. Basically a user has access to everything or read only access. It is very difficult to control process and data integrity throughout a larger organization. If you are a smaller company starting out, this software is fantastic. If you have more than 5 or 6 people in your data, you can't control the data quality because everyone has access to everything. No way to lock anything down, or create user levels of access. I have been asking Rentec for this change for over 2 years. We are now shopping for different software. Cons: If you plan on growing past 5 employees, consider something else. Not enough controls for various employee access/restriction to appropriate data/pages. Customer service used to be great, has slowed considerably in the last 2 years. The company has gotten a lot larger, and thus don't listen as well as they used to. Make sure that the software meets your current (and future) needs. Don't expect major changes. Small rollouts of capabilities do continue to happen. Recommendations to other buyers: See cons. Cons: Running some reports can be laborious since you can't run some categories for all properties at one time, as we need to do each month. 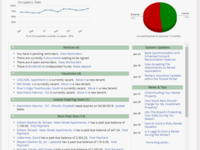 Overall: This site has been great for all of my needs, from keeping track of tenants, landlords, properties, and maintenance. Sometimes running reports is a little labor-intensive, as you can't print out monthly reports, etc. that we use for all properties at once, so it takes time to select each property and run reports individually. Overall though, this is user-friendly and great for our needs. Thanks for the review and feedback! Your team at Rentec Direct is happy to hear about everything that is working well for you. We'd love to hear more about how the reporting features can be improved to make your life easier. Feel free to reach out to your Success Team at support@rentecdirect.com to share your experience and ideas. Comments: I have used them for 9 years. I would recommend them to anyone. Pros: The software is easy to learn, use. The people are very nice. Very good for the money. They have thought of everything. Cons: Online payment could be easier to use. The app for the phone should be for managers as well. Pay checks should be easier to do. Melodie! Thank you for the kudos and for being a faithful Rentec client for so many years. And good news! We're rolling out a manager app this year and you'll love it. 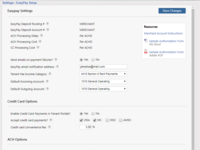 We've also updated the online payment tools since you came on board and they are very user-friendly now. Cheers! Rentech mostly behaves the way you would expect the software to behave and is functional. Pros: It was relatively easy to learn and behave the way you expected it to. It was easy to find the controls for changing what little you could change in the functionality. The reports are what you expect them to be, income/expense, income, expense. The bank accounts acted like bank accounts and were thus easy to understand. Cons: Going from one screen to another sometimes took an excessive amount of time. Some archiving of data locally to the users browser would probably enhance the user experience significantly. Use of an input worksheet for income and expenses would make these tasks much more effective and efficient. Terrific software, outstanding customer service! Pros: I had done an obscene amount of research on software options for my small landlord operation (18 units so far) since I was outgrowing the excel spreadsheets that had at one point kept me somewhat organized. Honestly, I thought my mind was made up on Buildium, but once I did an overview with Kathryn over the phone, I was hooked. I told her exactly what I wanted from the software and where my trouble spots were with my current "system", and she walked me through the very features that Rentec Direct would provide. I got a free 30 day trial to play around with the system and within a week, I had made my decision. I also looked at Simplifyem along with Buildium and Rentec won hands down for the features and the price. Since then, I have had a million questions, and all of them were answered within minutes either through email or over the phone (I am kind of a Luddite and need a lot of hand-holding...) Thank the heavens for Kathryn-- the most patient person in the world. The customer service is beyond phenomenal, people. Cons: I wish that when filing out a work order, it could be an SMS notification, rather than just an email. Recommendations to other buyers: Don't shortcut the process by not doing a screenshare software demonstration with someone from Rentec. Forget just the research-- see it in action and then make your decision. Comments: I am not a computer savvy person and I found Rentec to be super user friendly! Pros: I like the customer service and how they can remote into my computer. I am a visual person and being able to be talked through what I need to do while doing it is extremely helpful! Cons: There are a few things that could be changed with the software but they aren't major issues. Just things that would be more helpful to me while creating certain reports. Comments: Rep has been over the top helpful I have call several times trying to set up a Merchant account and each time I talked to her, she has patiently walked me through it, even when I have been annoyingly slow to understand. Pros: I love how easy the product is to use and the support you get when you have a question. The software has helped our business grow so much and get our apartment listings in front of people we never would of normally see our local ads. It has great accounting functionality built into it that allows us to reconcile with our bank accounts in a very easy and effective way. Cons: I do not have any complaints at this time when we first started using it 5 years ago there were a few things but they have been updating and adding features all the time and now there are no missing features or problems that are unresolved. Recommendations to other buyers: Use the free trial, we have used very expensive rental software in the past and this does the same if not a better job. I would give this product the my best shot first before considering any other rental software. Comments: I am a small startup (still getting my systems in place and don't have any other owners yet) in Montana. I researched Rentec Direct, Buildium, Rent Manager and Appfolio. One of my main concerns was taking on a monthly financial commitment when so young as a company. When all was said and done, I really appreciated that RD was created by a property manager who saw a need for this niche in 2007. The sales rep admitted that their first client is an owner-operator, not a property manager, but said they have made quite a few improvements toward serving the professional PM as well. It has been relatively easy to learn. I also like that the software comes with a tenant and owner login. How these components perform is yet to be seen, but I suspect it will work well. I also like that I did not have to commit for one year (Rent Manager, Appfolio) and that the price point was very reasonable with no extra charges for this or that and a very easy-to-understand pricing equation. Pros: Reasonable price for a small startup, easy to learn, good accounting piece, website is included, customer service is very responsive to inquiries. Cons: On-line application limited to 5 custom fields, included website could use a bit more functionality, nothing more at this time. Comments: Best value for the price and easy enough for the average person to get up and running. Pros: I love the affordability of the software and the ease of use. 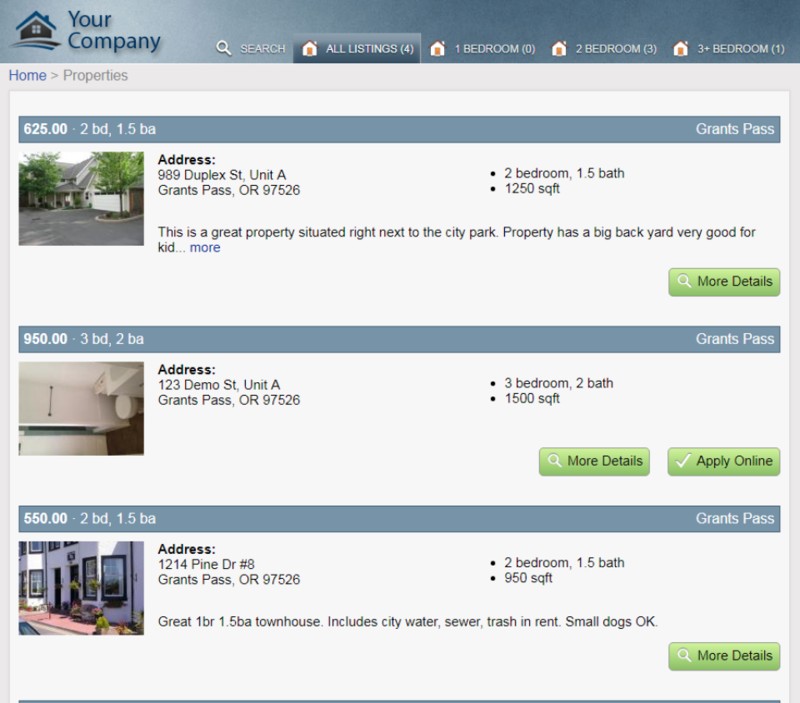 I also like the ability to communicate and text the tenants through the portal and track them. 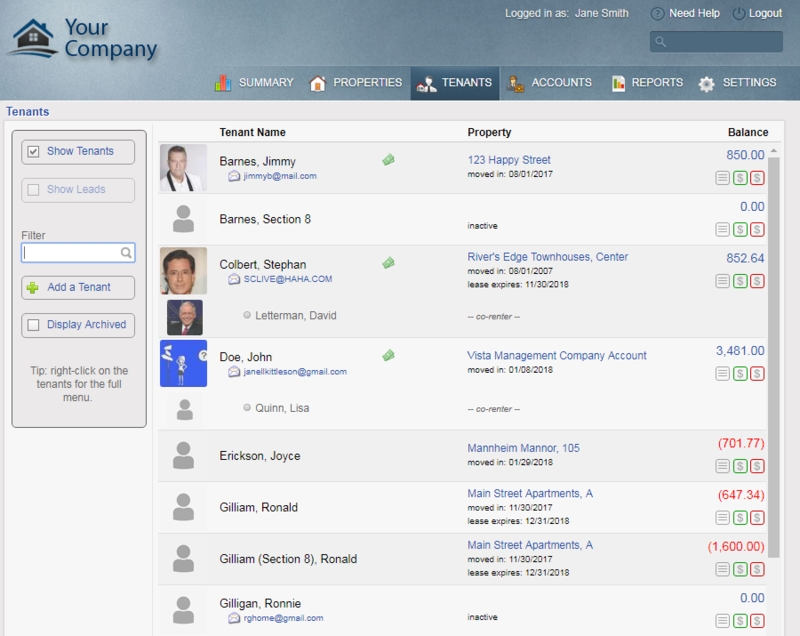 Another great feature is the owner portal. Ny owner absolutely loves the easy access and variety of reports available as does her accountant. Cons: Just a little difficult in the beginning setting up and getting the ACH approved for the payment of my owners. Another drawback was that the platform does not sync with my bank management account even though it says it can. I have to manually reconcile. Comments: We have a small property business with only 25 units, so we do not need a killer application. Rentec Direct has proven to be a nice fit in terms of functionality as well as financially. Entering data is very easy and the application provides several different ways to view the data so that analyses are quick and to the point. Pros: The price is right, but so is the functionality. I am not sure how well this application would work for an operation that had several hundred units, but for our small business it seems to be good. It saves us a great deal of time and enables us to be more productive by allowing us to assess our expenses per property quickly and accurately. Cons: At times, we have to sort of figure out how to get the output we want. Some of the pages use terms that do not always seem intuitive, but this is really not a major issue. Recommendations to other buyers: Whatever application you decide on will probably make your life easier. I tried about four different applications before I decided on Rentec Direct. I am not that one size does not fit all, so take the time to make sure you are getting an app that you feel comfortable with and that you feel you can trust. Easy simplicity with sufficient power to get the job done. Pros: Although I have managed my own real estate investment portfolio for years, I needed to upgrade and strengthen my record keeping and reporting capability as I launch a property management business next year. After reviewing a number of vendors, I selected Rentec initially. The drivers for my selection were the apparent completeness of the capability while being quite simple to scale. Now, six months into the use of the system, my choice has been validated. I might add that one time, early on, I had to contact their tech support for advisement. I was able to reach a real person who had a very simple solution to my question. I'll be staying with Rentec. Cons: I have "corporate expenses" that really are spread among my properties. I didn't find a straightforward method of capturing these expenses. I created a "Corporate Expense" property to capture these shared expenses. I'm probably missing this capability that likely already exists, but I haven't seen it yet. Recommendations to other buyers: While I looked at alternate systems, Rentec was the only system I scaled up after my review. Be mindful that other systems may offer a lot more bells and whistles, but the other systems offered extensive training, which is a clue to me that those systems are complex and take more time and energy to scale than what I need or want. As a property owner/manager with multiple rentals, we simply could not manage without RentecDirect. Comments: Our sincere thanks to the entire staff at RentecDirect. You've made our job of mananging properties so simple. It is clear that their support staff is worth the price of admission alone. When requests have been made, their staff takes them seriously and they constantly add requested features to their software when it makes sense and has an impact on everyone who uses it. Pros: RentecDirect gives us a clear accounting of our properties and our tenants. With intuitive drill-down features, you can easily track and locate tenant's important information in seconds. You can also store important property information as well, such as door key codes. Besides giving you an accurate accounting of everything financial, RentecDirect has thought out every aspect of property management and delivers a package which simplifies the process and gives us a one-click report for our annual taxes. A boon for both my company AND my landlords. Takes some of the headaches out of a headache business. Comments: Was fortuitous finding this program! Everyone (underscore that) is professional, courteous even friendly. Especially appreciate their executive, as she never makes me feel like a dope. Even when my question warrants it! Pros: Clean, easy, efficient ... and forgiving. It is easy to set-up new owners, properties and tenants. And just as easy to process rents, invoices, etc. Cons: Some of the suggestions in the knowledge base sound like good ideas. And what about a property manager portal, or app? Comments: Quick attention when I needed assistance. Pros: I like that navigation is by way of drop down windows. This easy for me since it is like other software I use. Cons: When linking the inspection app, z inspector, I found out that they are going to charge me monthly fees. I wish this function was part of your system. Best Customer Service ever!!!! Great Product. Comments: I shopped around for different software. We decided on this because it was affordable and seemed to be compatible for my size company. Their customer service is the best hands down. They are quick to respond and patient. They also implemented a new Chat service which is fantastic! Pros: It streamlines so many things for me. There is a bit of a learning curve as with anything but you have their total support to get you through it. Whether it be email, phone, chat or their knowledge base. Cons: Each state handles some things differently and so in some situations I have to manually do things and it can't be automatically set up. Cons: I only hate that I can't delete multiple late fees at a time. You can only delete them one at a time. Comments: This is a fabulous program. It has simplified our property management bookkeeping and reporting soo much and saved us so much time. Now, I only wish you had a General Real Estate Back Office product that would pull data from our MLS and push it up to our franchise! We are in need of a new product. Using Broker Wolf right now and it is horrible! The reports are miserable! Pros: Simplicity, detailed, client friendly reports and the best customer support I have ever received from any provider. Cons: Reserve accounts. These were quite difficult for us to get set up at first. We are in good shape now thanks to the customer rep who patiently worked us through the setup. I would like to see, however, a part of the program for reserves that would be automatic so that my staff would not have to make modifications to the reserve amount monthly. For example, I may need $ a year in a reserve account for landlord but I do not take that money up front, I take a little each month. As I understand, it the system is set up to keep that amount from the landlord and I would not be able to pay anything until that is met so my staff puts an amount into the reserve that we take out monthly and then must adjust that amount every month. I would like it to be an automatic adjustment so that there is a total goal but the system knows to take only a little each month. Comments: I was doing everything manually before I did the trial for Rentec Direct. The simplicity was what made me fall in love with the software. I started out with 3 rentals and in three years I had 22. The reports that I ran for tax season was so helpful. I was able to file my own taxes. I would recommend this product for anyone that has two or twenty two houses. Pros: How entries are posted to the journals immediately and I can run a new report on the spot. Nothing has to post overnight. Cons: I don't like the format of the rent statements, I have to explain it to most of my tenants. I think that it should start off with the rent amount for the current month, then the late fee for the current month, then the past due rent as a whole not broken up. Then the balance due. When my low to mid income renters get behind, they pay on the past due balance for a few months and pay the current rent. The option to create how the statement will show would be nice. Recommendations to other buyers: Put in only a couple of tenants and rent info first. Add the most common vendors not all of them, if you are not familiar with taxes, have someone that has rental property taxes experience and get them to help you with your chart of accounts, put the whole chart of accounts in with the two properties. 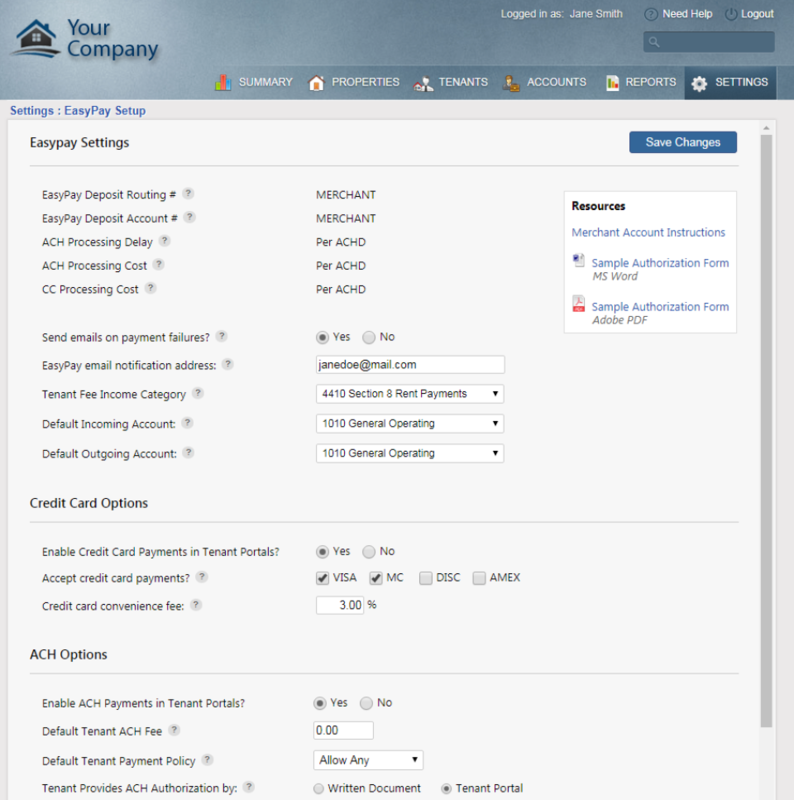 Enter work orders and complete them code them according to your chart of accounts. Make sure that the reports that you run come out right. Pros: Rentec Direct is incredibly affordable compared to other property management software out there. They are very responsive when I need help with something. They are easy to work with and I've been working with Kathryn on an issue I'm having with accounting and she has spent extra time with me that she shouldn't have to. She is great and Rentec is lucky to have her. Cons: The accounting is at times cumbersome to wade through the reports and find what I'm actually looking for. Recommendations to other buyers: Your best option is to take advantage of free trial offers. Check out the different programs and make sure they have what you need. Pros: After purchasing my second two unit, I decided I needed a program to keep track of everything and started searching online for something to use. Rentec Direct was free to use, so I tried it. It is an awesome program! I have too many units for the free program, however, I have no problem paying to use it as it is that good. What I like best is that Rentec Direct continues to make changes resulting in a better product. Cons: My only suggestion is that under the payment type drop down window, direct deposit needs to be added. Recommendations to other buyers: Try it and see if it meets your needs - I bet it does! Pros: Program is very easy to use. I used quickbooks for my rental property accounting and then a combination of paper, Word and Excel to keep track of everyone.With 50 units, I really needed something to keep better track of my tenants. It takes a while to get everything set up, but once you do everything works together seamlessly. I now only need to enter things once and not use multiple systems. The customer service is Amazing!! When I have questions they email me back within a couple of hours and have the answers I need. I haven't moved my website to Rentec yet, but I plan to soon. Cons: Haven't really found anything that I don't like yet. The only thing I would change would be the deposit slips. I don't like that they don't print each check individually on them, just the total amount of deposit. Pros: It was easy to set up, and it's easy to use. I can easily pick and choose how much or how little of the program elements I want to use. 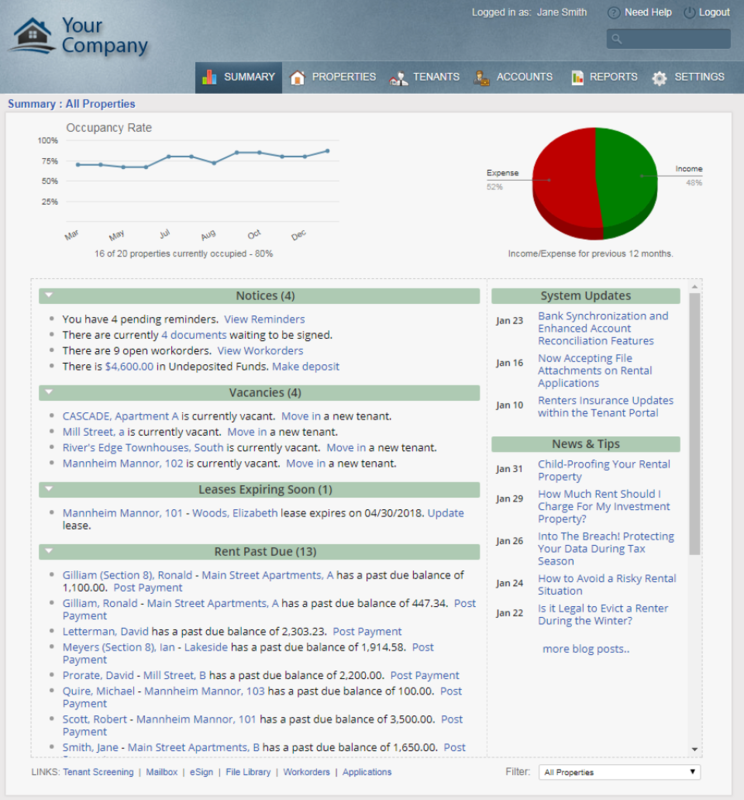 It has plenty of report and tracking options, and provided lots of room for growth. Cons: Really don't have any complaints. I wanted a way to compare properties profitability to one another and it doesn't do that. But I don't know that any of the rental property software out there does. Recommendations to other buyers: If you are a small or large co. I think this software fits the bill. The vendor is always updating and offering added features. I have been completely satisfied with my choice. 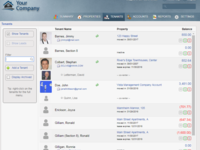 Comments: Overall it's a great product that definitely makes managing properties much easier. Pros: The product has a lot of cool features such as allowing me to create a website through the software. Comments: I love using this software to manage our properties. Super intuitive and quite robust. They seem to be constantly adding features too! I especially like the tenant portal and automatic reminder notices. Credit card and ACH processing is very convenient for tenants which helps keeps things current. The customer support is fabulous. They are extremely knowledgeable and always quick to respond to questions. I especially love that the software is in the cloud, so support can look up our account in real time, and fix any issues. Pros: Super easy to use. lots of tools to communicate directly with tenants. Reporting is great. Cons: I wish there was easier mobile access. It's a little hard to use the messaging feature on a phone. It would be great if there was a way to add additional email addresses and mobile phone numbers so I could communicate with multiple tenants within the same unit. Recommendations to other buyers: I would definitely recommend product! Worth every penny! Comments: We have been using Rentec Direct's software for over 2 years now. We are very happy with the program, specifically how easy it is to use. We find Rentec to be very user-friendly. However, when I do encounter a problem, I either email or call their support desk, they are on top of their game, especially Kathryn, I haven't come across a problem that she cannot solve!! Pros: I would have to say I like that support has remote access to my system. It makes it so easy to explain an issue that I am having. Although they will not do it themselves, they have me solve the issue so that I can "learn" how do take care of it next time. Cons: There are a few things that I would change in Rentec and have submitted my requests. It does take a while for them to be implemented, however, I'm sure they get many suggestions daily. Recommendations to other buyers: I would, and have recommended Rentec to other Property Management companies. Rentec is perfect for owners / managers of properties. Pros: Clean, easy to use product. Very good tech support. Keeps improving. Priced reasonably. Good features like ACH, screening reports. 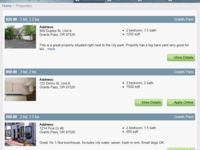 Automatic posting to rental sites like zillow, hotpads etc. Cons: Managing marketing info for the unit rental is not very straight forward. Cant easily replicate info from one unit to another. Loading pictures and arranging them could get better. Recommendations to other buyers: This is the best I could find in terms of having all important features at a reasonable cost. Honest company. No hidden costs. Couldn't ask for a better solution for our business. Comments: I'm consistently impressed with Rentec Direct's support and products. When we signed up it was to just do one tenant screen, but we found out they also have a complete software solution for managing our portfolio of properties. I used to use Quickbooks but after using Rentec's accounting tools for just a week I was sold because Rentec is so much easier. The other things that I really liked about this company is they tell it like it is. Their pricing is straight forward and they don't hide anything with hidden fees. Every time I contact their support, they are always friendly and very helpful too. I've called a few times now getting setup and I always get an English speaking rep who really knows their stuff. Pros: Better support than I've ever experienced with any company, EVER! The software was really easy to learn. No term contracts, I like that. Recommendations to other buyers: Read all the reviews before moving forward with a software. Comments: I have greatly appreciated the checking in and assisting with all the additional account set up items. You guys are top notch with contact and follow up. Professionally I've worked with large software companies like Yardi and Onesite as well as smaller groups like manage America. Rentec was my choice after reviewing and working with others. It had what I wanted and needed in a scalable platform that can grow with my portfolio. Pros: Online payments Online apps Syndication of marketing Resident/owner portal . Cons: Wished for better website templates so I didn't have to use another service. Maybe add advanced website at additional flat fee. I ended up using zoho. Pros: As a property manager for the last 7 years I have used several different systems. My company recently purchased RenTec Direct and I love it!! It's the most user friendly straight forward software I have used. Being experienced in property management procedures I was able to jump right in and understand the program with very little studying of tutorials or calls to support. They have practically thought of everything; every report you need to have, a toggle over so you can read the description of every function, all the information you need about your account on each screen you use to enable to complete the task without searching elsewhere. It quickly feels like an old friend. Cons: So far I have not found anything I really dislike at all. They remove the quick start guide after 30 days, I could have used that a little longer and an easy way to search for the more complicated report information I need would also help. Recommendations to other buyers: Compare the features of at least 3 different programs and take the free trials, set up some test accounts on each and go through your procedures to decide which one suits your preference of working and the needs of your company. Comments: I have used the Rentech Direct Property Management system for six months now. With a small number of properties, my biggest concern was cost. This system met that criterion. Secondly, I wanted a system where my data was kept safely on a seperate computer than my laptop or desktop, and could be accessed from anywhere. Rentech met that. This product also had the additional feature of allowing tenants to book work orders and check their account status on-line in a secure manner. The third necessity was that the support side of the product be responsive and easily understood. I have been very pleased with their live help. Usually call, leave message and get contacted back all in the same day. Their on-line support could use some tweaking, however. There are several videos and written resolution on specific cases, and the training videos were helpful, but there are always issues that lie just a step or two beyond what is offered. A phone call resolves that. I am now at the end of year reporting stage and will need to go in and tweak some entries that wound up in wrong categories/accounts. I appreciate how much easier this has made my one man operation and look forward to finding even more efficiencies as I continue to use it. Everything I need and things keep coming I didn't know I need. Pros: I like that everything is right there. The price is very reasonable and this application includes all of the items the very expensive programs include. The customer support has been incredible these last six years and they keep adding things that really help. Cons: Strictly operator error, I forget my log in from time to time. Seriously, I haven't found anything I'm unhappy with. Recommendations to other buyers: Make sure to analyze your needs. This is very easy to use and covers what is needed. Pros: Easy to navigate; fairly intuitive; has depth; can be up and running quickly; vendor is active in keeping product current and adding features; customer service dept is responsive via email. Cons: Product seems geared more toward housing rentals than commercial rentals--I have to get creative when entering tenant info to get them to show up properly on the summary and deposit screens. Recommendations to other buyers: If they still offer the 30 day free trial, it's worth the time to give it a try. Comments: My experience has been super positive. Our management was on the money when they told us that this software would be the easiest thing to use. Pros: I like the ease of use of the software. The set up was smooth. Very detailed instructions for each feature of the software and website. Cant beat it for the price. Not a lot of setup fees and all that stuff. The customer service is outstanding, very responsive. Cons: The setup of automated emails and their template. I am sure its me but that's the only con I found. No round the clock customer service access. Pros: Customer support is awesome! Hours that the customer service folks are available and their knowledge makes learning the ins and outs easy. Rentec vs. Excel Spreadsheet, I pick Rentec Direct. Pros: It's simple to use, and accounts can be used for several things, such as bank statements reconciliation and keeping track of payments. It does that math for me, and all I have to do is make sure I entered the right amounts. Rentec does the rest. Screening is also easy, and it's a one stop shopping. I also like the tutorials. Cons: There are still some updates I would like for it to have. It doesn't track emails to owners. This is an important tool because our personal or business email address is cluttered. If we could check on the owners notes, I can tell quickly if they received an email from me or not. I also don't like the fact that I have to pay for tenants using the tenant portal to pay rent. The tenant should pay for using the portal, not the property manager. Recommendations to other buyers: At this time, I'm not sure. I'm new to this software and only have a few properties. I need to experience it more before I can give recommendations for others to evaluate. Comments: I cannot begin to tell you how much we like this program. I have never worked in Property Management before this job and therefore, never used this type of program. Rentec is very easy to use and understand. The support that they offer is top notch. I tell people that I have my own personal support person, Kathryn!! She is the BEST, she knows the program inside and out and even when I call with a crazy questions that is out of the norm, she finds a solution. They are constantly improving and adding new updates. They ask for your input and listen and make changes or additions. Not only WOULD I recommend Rentec to others, we already have! Pros: The Support is the BEST, always available and very personable and helpful!!! The monthly fee is worth every penny. Cons: I really don't have any complaints. Recommendations to other buyers: I highly recommend it. Recommendations to other buyers: I looked into and used several rent/property management programs before Rentec. Rentec is by far the best for Landlords or small Property Managers. Pros: They are very user friendly and affordable . If you have questions you can call and talk to a real person. Cons: I did have to call the first time to find the correct place to go for a credit check but easy after that. Recommendations to other buyers: Great company to work with and very helpful and wanting to help you with any questions or concerns you have. It sure is nice to have a secure company you can use when going through the process of finding good quality renters for our rentals. 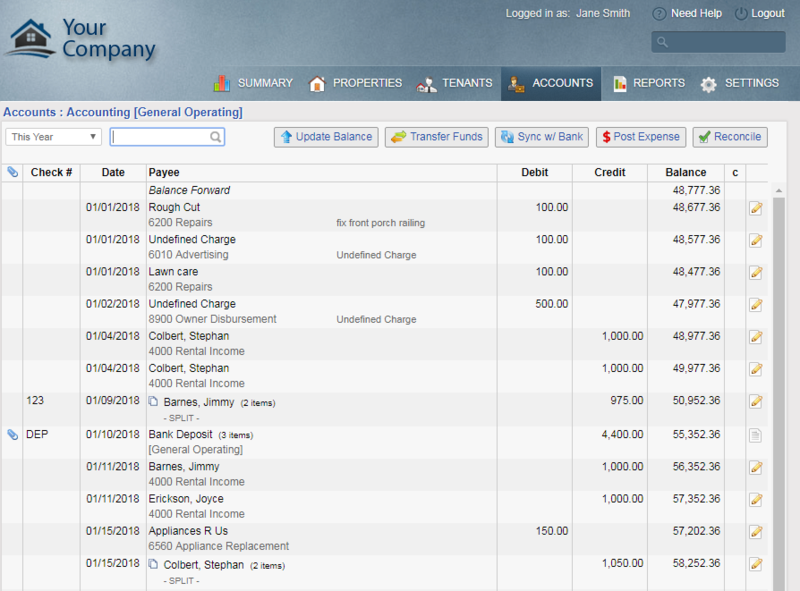 Pros: Rentec Direct is an intuitive and easy software that allows laypeople to keep track of all income and expenses related to one or many properties with multiple tenants to manage. If you need to speak with someone when one of those 'irregular' situations with your properties, Rentec is always there at the phone ready to walk you right through to a solution. Rentec Direct updates and adds more features that will automatically load into your existing software. And at the end of the year when it's time to pay your taxes, Rentec Direct will print out the reports it used to take you over a week to sort out. Rentec Direct makes excellent software for managing properties. Pros: I like the a person can change their level of use based on their needs. I was managing my own properties and using the more expensive version. Then I got a property manager and no longer need as much. I was able to downgrade without losing my data. Chances are I will be back managing my properties again it will already be set up and waiting for me.